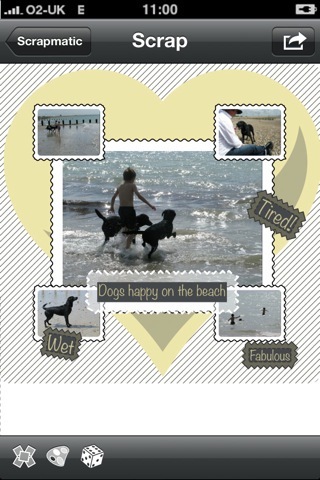 Scrapmatic has a range of templates for the background, photo layout and text. These can be combined to create hundreds of unique scrapbook pages. 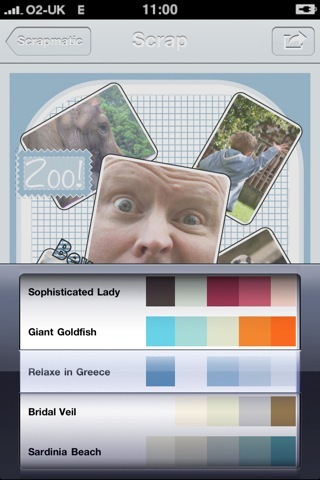 Scrapmatic has a selection of color palettes, change your scrapbook page color scheme simply by flicking between palettes. Or try the randomize button, for the ultimate in lazy scrapmaticing.